Explore the wonderful night of Shanghai! It’s perfect to string popular night activities of Shanghai - romantic Huangpu river cruise, wandering at the Bund and drinking at Xintiandi. 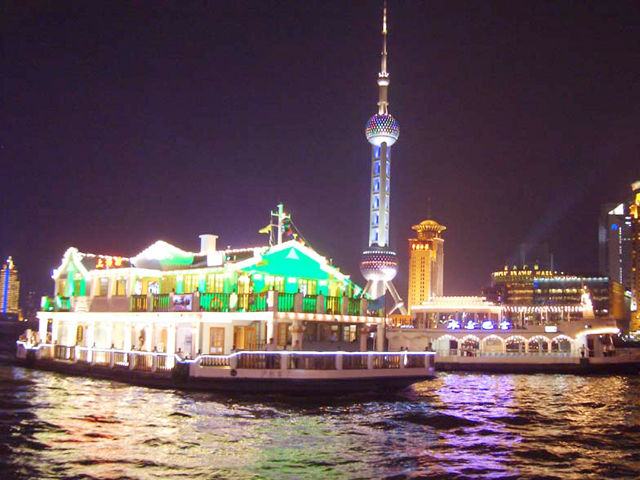 Travel with ChinaTourGuide.com, you will save time and money to have an enjoyable night at Shanghai. 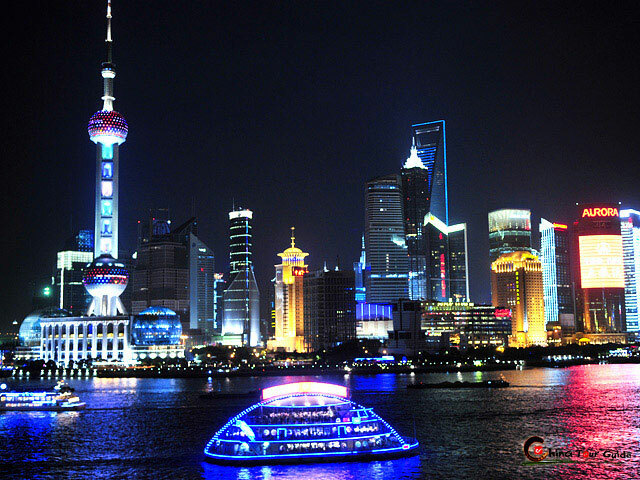 The smartest and fastest way to enjoy a splendid night in Shanghai, Save time and Money. 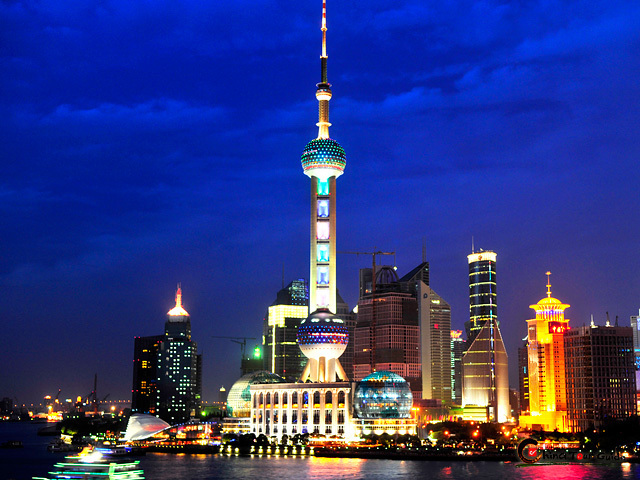 Top 1 travel deal for 72 Hour Visa-free Stay Passengers in Shanghai. Experienced local guide will be a good communication bridge between you and Shanghai. Today's Activities After pick you up at the appointed place, we will take you to board a great cruise on Huangpu River near the Bund. Lined up with modern skyscrapers and old colonial-style buildings, the river banks display a perfect blend of east meets west. With dark sky reflecting colorful neon lights, the beautiful night is full with romantic atmosphere and sweet air. 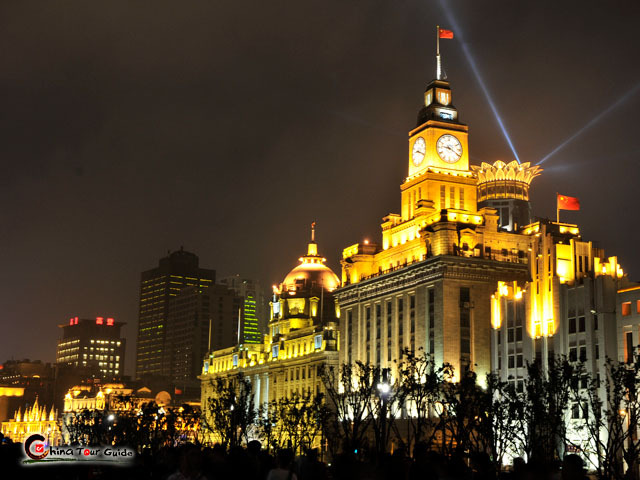 After the cruise ends, we will take a short walk around the Bund, taking some photos of the new impression of Shanghai. 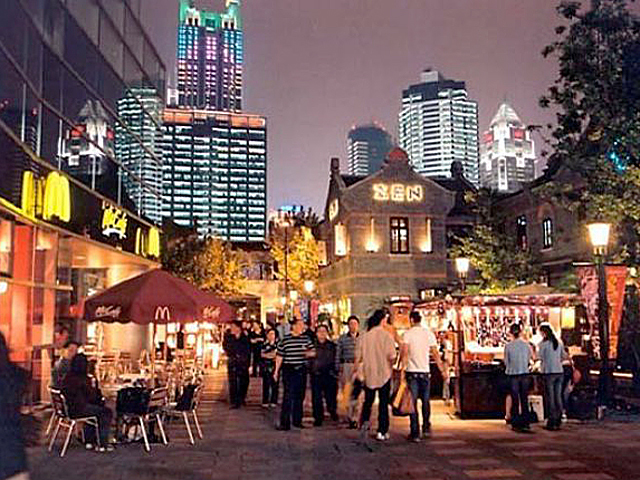 Later, we will end up having drinks in a trendy place – Xintiandi (New Spot), where Shanghai people enjoy their leisure time after a long day. It is a fantastic circle for restaurants, bars, cafes, boutiques and other recreation centre. Definitely you will have awesome time there. Near the mid-night, we will drive you back. Or you can longer the happy hour and back on your own. - Any consumption in Xintaindi; - Tips for tour guides and drivers. Thanks for your arrangement of my trip in Shanghai. It is a very big city that I had spent great time there, much more beautiful than I thought before. I have taken lots of nice pictures of the bund, and the cruise was quite comfortable to see both sides of the river. Xintaindi, was a good place to have a couple of drinks. All good things of shanghai impressed me. BTW, a pity that the tour was a bit short.